Metro appointed Paul Wiedefeld as its next general manager and CEO Thursday -- but Wiedefeld will have his work cut out for him. He inherits a transit agency that's aging at the same time that it's expanding, with shrinking ridership and a decided perception problem. Metrorail ridership has been steadily dropping since 2010, with 30,000 fewer trips being taken every day -- and that means Metro is making less money. The transit agency depends on Metrorail fares, which provided 80 percent of all Metro fare revenue in fiscal year 2014. Now Metro's trying to avoid a "death spiral." To make up the difference as ridership slows, transit agencies sometimes have to make up the difference by raising fares -- but that encourages people to take transit less often. Then fares must rise again, triggering more people to avoid riding. Metro's not there yet, but it's something they're concerned about -- and managers have drawn a direct relationship between the system's reliability struggles and falling ridership. To avoid that "death spiral," Metro said it's looking for ways to increase revenues without a broad fare increase. The transit agency is considering "non-passenger revenue opportunities," such as selling food and beverages on WMATA property, according to a recent report. If Metro were to allow the sale of food and drinks, it would keep in place its long-running ban on eating and drinking on Metro. But it's not unreasonable to imagine that the introduction of vendors might cause some riders to ignore the ban -- something that could draw the derision of passengers who may appreciate the ban, which has kept Metro arguably cleaner than many other cities' subways. As WMATA tries to make safety improvements and updates, work on Metrorail results in less-frequent trains, closed stations and other issues riders must either accept -- or choose to avoid altogether, by driving or making other arrangements. And even when problems are detected, they haven't always gotten fixed. A Metro system defect was detected in early July but wasn't repaired, leading to the derailment of an empty train in August that caused massive delays. Earlier this year, The Airports Authority revealed that the second phase of the Silver Line project, which will ultimately run trains to and beyond Dulles International Airport, may not open until late 2019 or even 2020, a delay of about 13 months. The delay is attributed to more than 150 design changes made late in Phase 1 of the project, said the Metropolitan Washington Airports Authority (MWAA), the group behind the Silver Line project. While MWAA -- not WMATA -- is in charge of the project, the setback will delay Metro's ability to take in additional fare revenue. The delay may also be contributing to a perception problem Metro's been battling. Delays to projects like the Silver Line and the Silver Spring Transit Center -- neither of which Metro was in charge of constructing -- nonetheless contribute to a view held by many that Metro struggles to get things right. And while Metro isn't at the helm on those projects, a check of the Twitter hashtag #wmata on days when Metrorail has delays, a derailment or a fire illustrates the frustration and outrage that many riders feel on a regular basis. "We have obviously had our troubles in providing reliable service, and I think people think about that when they know they have to go from point A to point B and they need to be there at a specific time," Metro's acting general manager, Jack Requa, said recently. While Wiedefeld will be at the helm of WMATA, ultimate oversight of the rail system won't rest with him. That's because safety became so much of a concern that the federal government stepped in, placing Metrorail under the watch of the Federal Transit Administration (FTA), making Metrorail the first U.S. subway system to come under direct federal supervision. The move came nine months after an Alexandria woman died and 80 other riders were sickened when their train got stuck in a smoke-filled Metro tunnel. Subsequent investigations found that Metro's ventilation fans had pulled smoke into the tunnel, instead of pushing it out, and rescuers couldn't communicate from the surface to the people trapped below ground. Congressional leaders said the incident needed to be a wake-up call for Metrorail. While the rail system's day-to-day operations will continue under Metro, FTA officials will be able to intervene when safety concerns arise on Metrorail (although not Metrobus or MetroAccess). 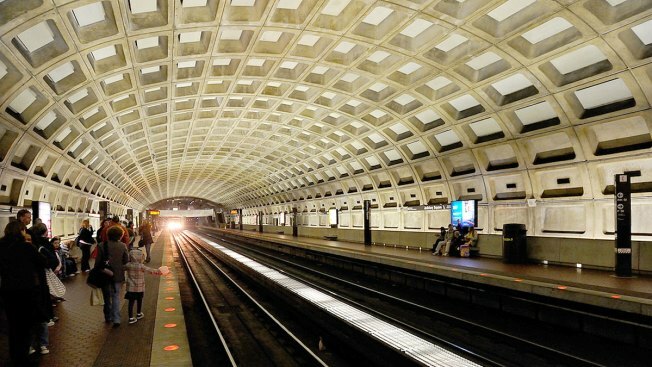 The FTA will directly enforce and investigate Metro's safety oversight, an effort that will include unannounced inspections.